In a bakery not far away there was a baker, who treated his customers extremely unequally. To some he gave plain buns, others spiced buns with candied fruit, and to others iced buns. He said the bankers worked harder than the nurses, and so deserved the icing. And the accountants were cleverer than the teachers but didn’t work as hard as the bankers, so they deserved the candied fruit buns. Iced buns are much better than plain buns, inequality was very great. One day the icing machine crashed, due to a leak in the water pipes leading it to flood. With no icing there were no iced buns. The bankers could only get the spiced variety. Now spiced buns are better than plain buns, but less so than iced buns. 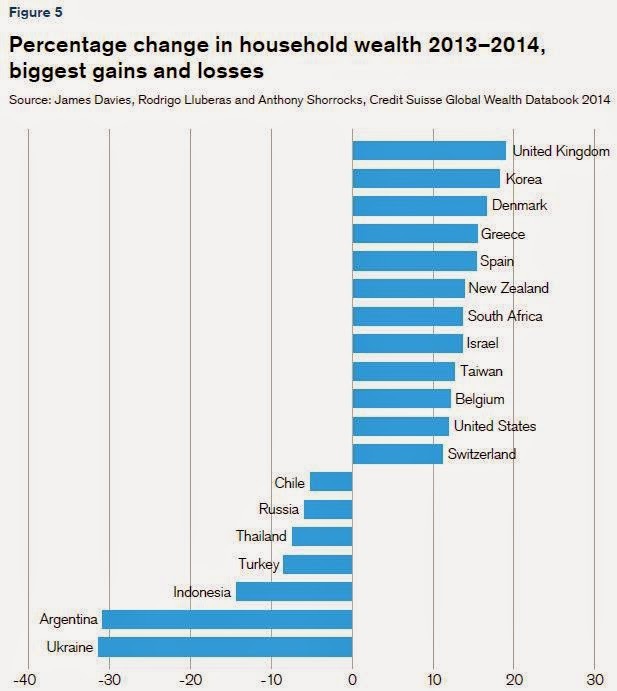 Inequality was reduced! At least until the icing machine got bailed out. 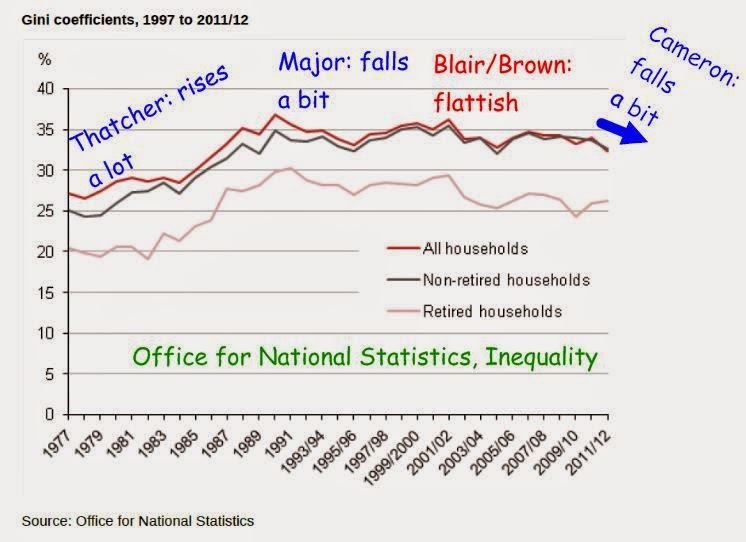 The Tories are claiming that inequality has reduced since 2010. They are correct. Since the banker induced crash that started in 2007/08 the incomes of the top 20%, as shown by this graph from the ONS, fell more sharply than everyone else. As the rewards of the boom years weren’t shared with those on low income, like the icing on the buns, they didn’t see so much downside when the economic machine broke. 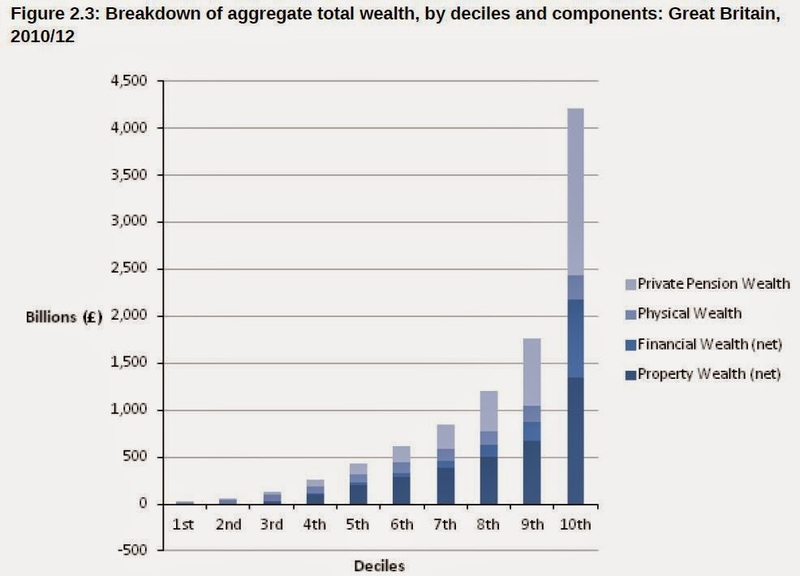 As a result of this the Tories can say ‘inequality’ has fallen. The standard measure of inequality is the GINI Coefficient, which looks at income but not at wealth. 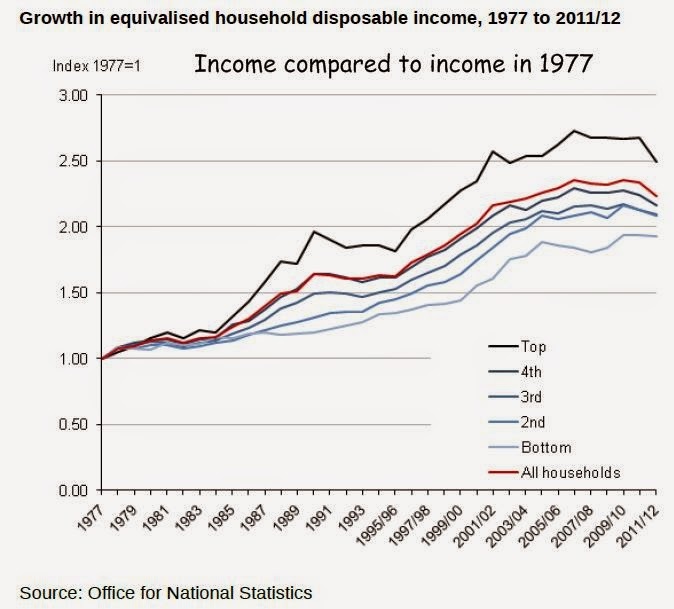 So the Tories are correct: income inequality, GINI, did fall marginally in the years immediately after 2010. On the other hand, since the banking crash and the policy of QE (Quantitive Easing) asset prices have grown strongly. 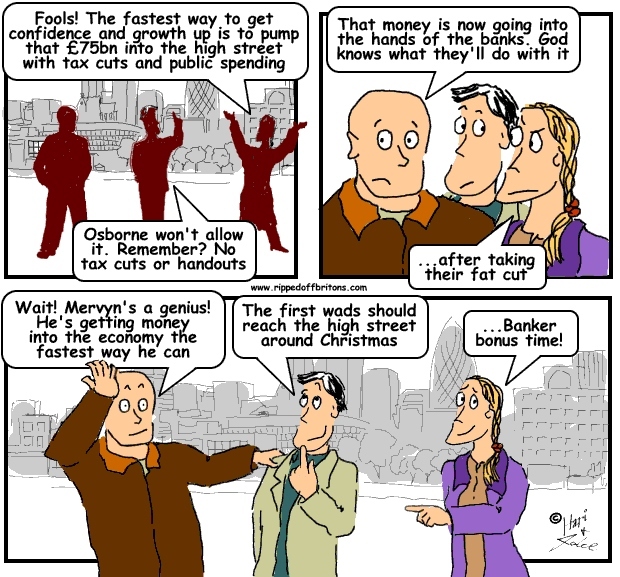 The BBC provide a 1 minute explanation of what QE is. Income: Yes, a little bit. This entry was posted in income inequality, wealth and tagged austerity, Bank of England, BBC, Cameron, Coalition Government, Conservatives, equality, Quantative Easing, wealth. Bookmark the permalink. 3 Responses to HAS INEQUALITY REDUCED SINCE THE CONSERVATIVE-LIBDEM GOVERNMENT OF 2010? YES, AND NO.